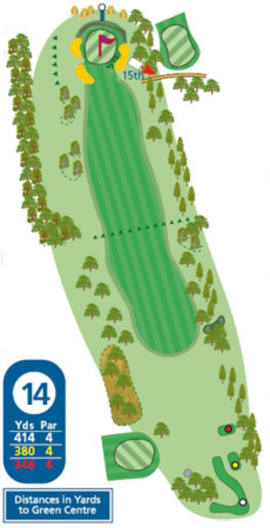 Tough driving hole with trees both sides and a large drop in the fairway at about 250 yards. 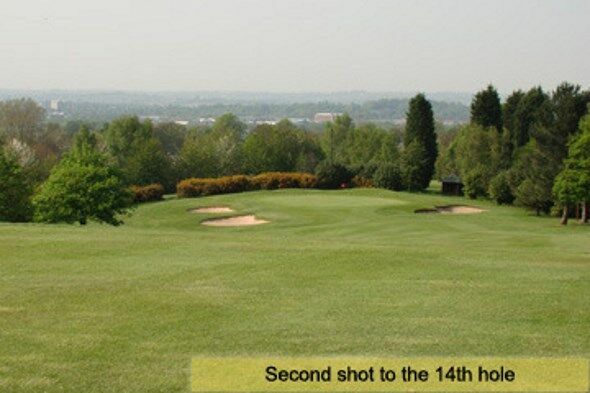 Need to get a good drive away for a chance at the green. Long iron or small wood needed for most to a well guarded green with bunkers both sides. 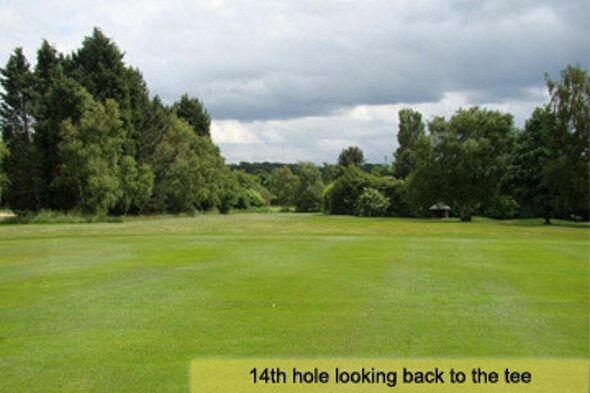 Big hitters could have cleared the drop and be hitting from a down sloping fairway. Mainly a flat green with a good chance of making a long putt.